Unfortunately, the marketing talk from Oracle can only go a certain distance. The reality is CRM product implementation is simplified far more in the newer generation of products. The status quo of maintaining Siebel with small enhancements to ultimately make way to Sales/Service/Marketing cloud, is hurting Siebel. I have seen CRM adoption rates of cloud products kick-in big time in the last 2 years. 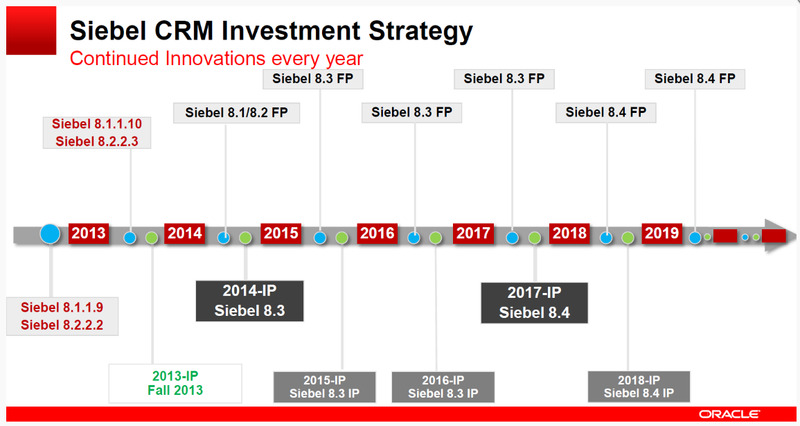 As a rule I do not see any new big ticket Siebel implementations. There are exceptions in larger customers, but they generally are not a happy lot after 8-12 months of implementation timeline.